The Friends of Woodthorpe Grange Park is a voluntary group of like-minded people who care for Woodthorpe Grange Park and its environment. The group meets on a bi-monthly basis in Woodthorpe Grange, which is the offices for the Nottingham City Council’s Parks and Leisure Department. 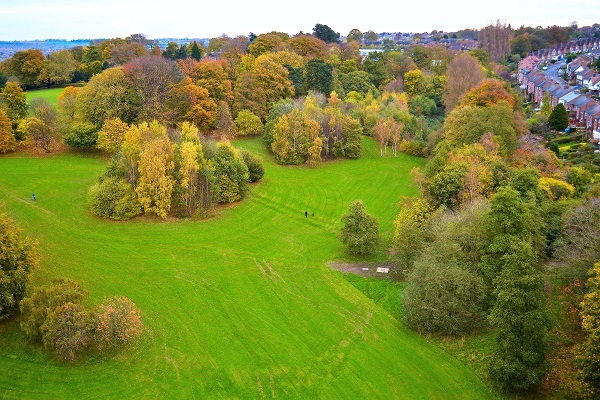 Initially the group acts as a link to the Nottingham City’s Parks and Leisure Department, by passing on any information as regards environmental issues that concern Woodthorpe Grange Park. In more recent times its members have been involved in voluntary activities like bulb planting in the park’s formal gardens. When there is an event taking place on Woodthorpe Park, one of groups’ members, who is a local historian, leads a guided walk around the park in which he takes in areas of historical interest seen at various points about the park. The Friends of Woodthorpe Grange Park are always on the lookout for new members, so if you have an hour or two to spare and would like to come along to one of our meetings you will be made most welcome. Some groups, require new members to pay a joining fee. In the case of the Friends of Woodthorpe Grange Park there is no joining fee, it is totally free to join, so please come along. All dates for meetings will be posted on the Home Page of this website. Finally, The Friends of Woodthorpe Grange Park has its own Facebook and Twitter page, a link is provided at the bottom of this page. You are all most welcome to make comments and post photographs of the park and its activities.